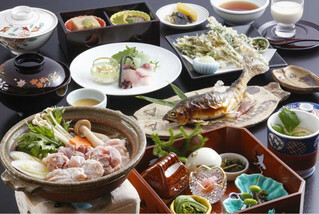 <Let's Discover Miyama!>The Japanese Style Dinner "Satoyama Kaiseki" Plan. 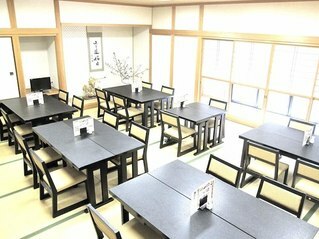 This Japanese-style hotel or ryokan is situated in the Chii region of Miyama, a 20-minute walk from the thatched village (Kayabuki no Sato). Family owned and run, Chinsenro's motto is ‘service from the heart’. 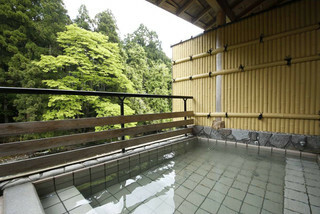 Staying at Chinsenro Ryokan offers a truly unique experience of Japanese hospitality and while they do not speak much English, their sincerity and care goes beyond the limitations of language. 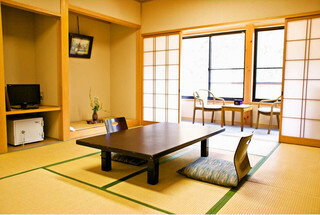 The ryokan itself is decorated in beautiful minimalist Japanese style, whilst maintaining a warm cosy atmosphere. 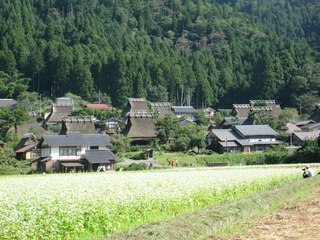 Miyama's thatched village (Kayabuki no Sato) is just 1.2km away from our inn.